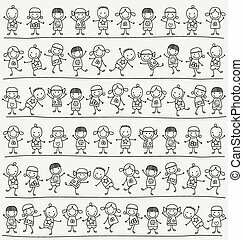 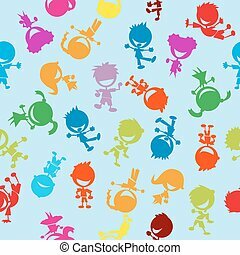 Kids pattern. 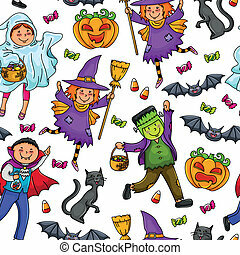 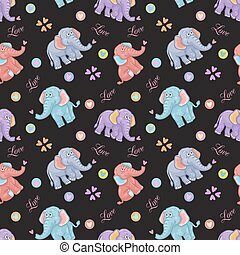 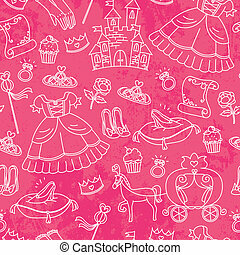 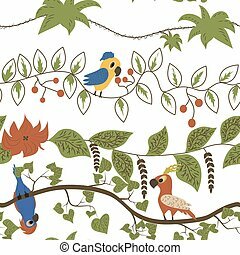 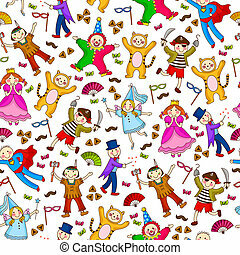 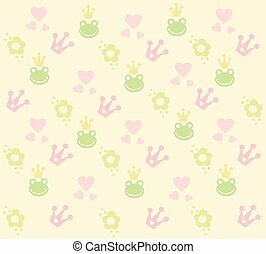 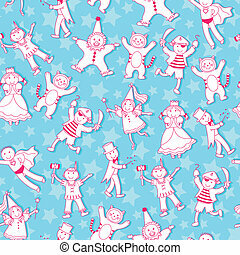 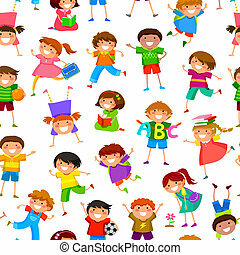 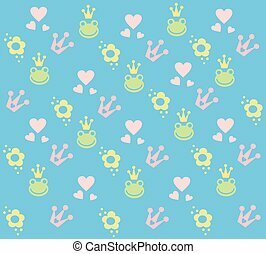 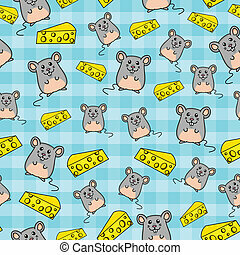 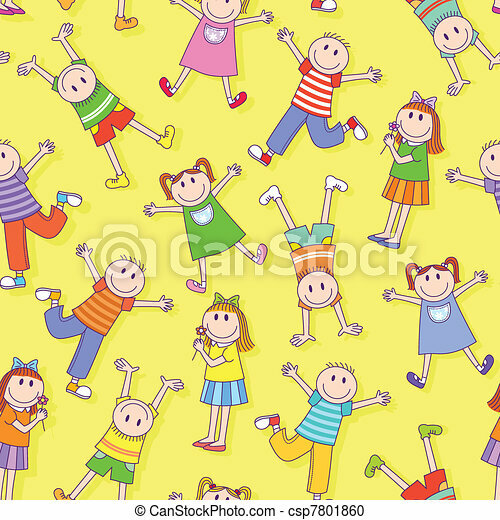 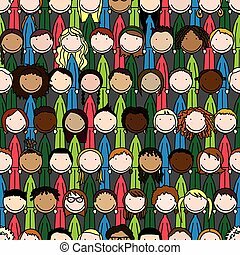 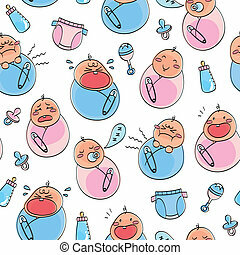 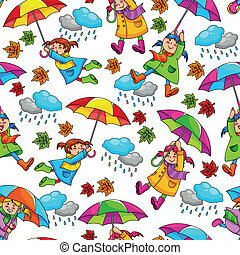 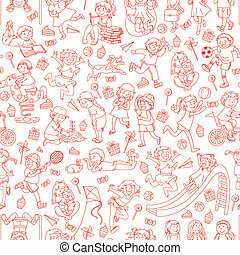 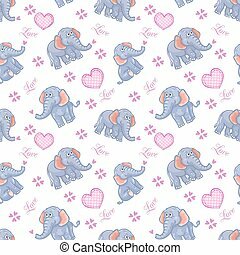 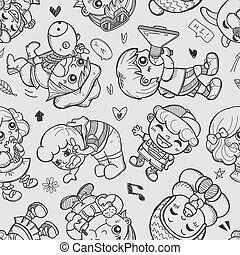 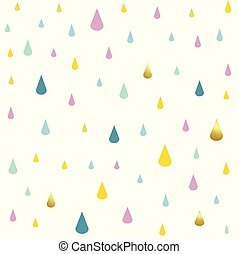 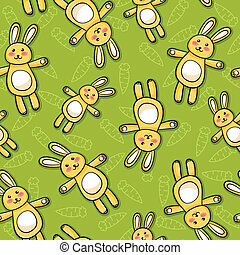 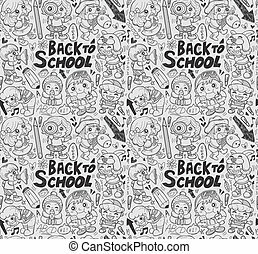 Seamless pattern with happy kids. 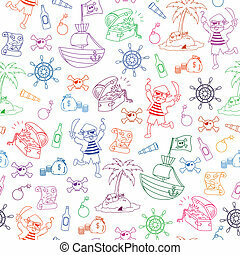 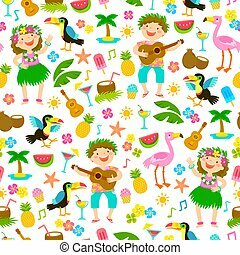 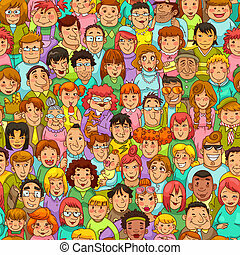 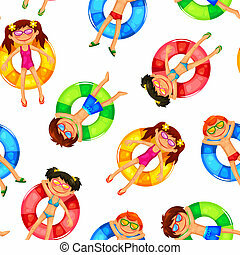 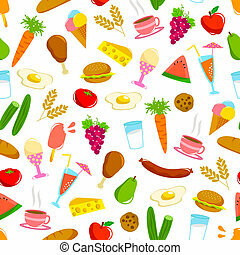 Seamless pattern with kids in Hawaiian outfits and other tropical items.